As a publicist, it’s my job to help law firm clients increase exposure and build their unique brands by working with the news media to generate positive press coverage. 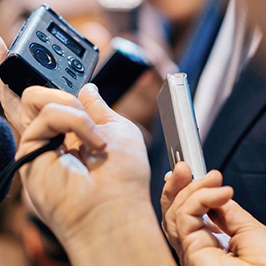 While some believe that any publicity is a good thing, not all media opportunities are created equal. Given our fast-paced, 24-hour news cycle, reporters are pressed to find sources quickly. Often, calls will come in unexpectedly, particularly when the reporter has worked with the source before and found them to be helpful, or the reporter discovered relevant information in the lawyer’s bio, picked up the phone, and dialed directly. Just because a reporter has called, you should not feel pressured to respond. Speaking about topics that are outside the scope of your work will not help position you as a subject matter expert. Instead, it may dilute your message and project you as a jack-of-all-trades. From the reporter’s perspective, too, it is not helpful when they are trying to drill down to specifics and find that you only have a cursory knowledge of the topic. That certainly won’t help to build the relationship or cement your credibility. A good rule of thumb here is to decline the request politely — or better yet, point the reporter to a colleague who is well-versed on the topic. Given today’s volatile political climate, there are endless opportunities to comment on Trump’s more controversial moves and scandals, from emails and election meddling to Stormy Daniels (CNN has a complete list here.) While there is an interesting legal component behind all of these situations, and it may seem appropriate to comment if you’re explaining the law, you need to hit the pause button and determine whether you want to be entangled in — and forever linked to — a salacious topic. The answer may be a hard no. Everyone wants to be quoted in the Wall Street Journal or the New York Times, yet commentary in a highly respected business trade publication can provide the same brand boost. Do your homework to ensure the publication aligns with your interests and reaches your target audience. If you’re a commercial real estate lawyer based in New York, for example, it probably isn’t going to help you to comment on a story about how to get a mortgage for an Airbnb rental home in Midwest Real Estate News. If you can’t help the reporter out this time, politely decline the request and gently explain why. Saying “no” leads to a greater understanding and mutual respect that will ultimately have a reporter coming back with a topic that is right on target. For more information about how to develop a solid PR strategy, contact Vivian Hiood at vhood@jaffepr.com.